Listen up guys and ghouls! 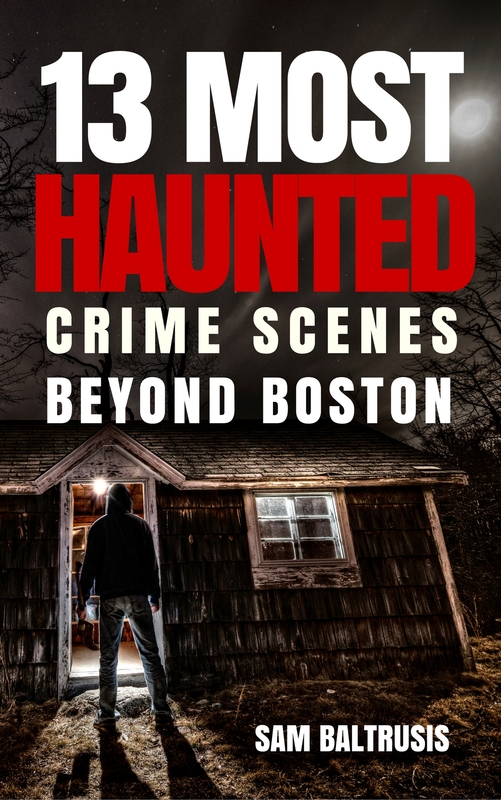 Neighborhood View’s Sam Baltrusis, author of the new book “13 Most Haunted Crime Scenes Beyond Boston,” writes about the things that go bump in the night. 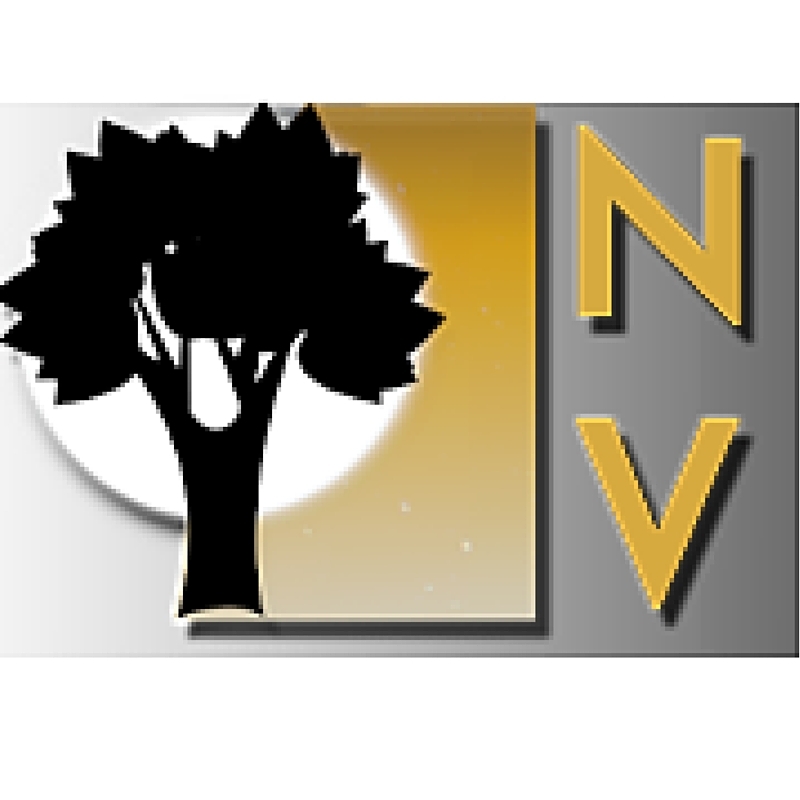 He assembled a motley crew of the area’s most haunted crime scenes in a show airing on MATV on Fridays at 10 p.m., Saturdays at 3 p.m. and Sundays at 2 p.m. in October. He also penned a book perfect for the Halloween season. The 30 minute Halloween-themed TV show “13 Most Haunted Crime Scenes Beyond Boston” will be available to public access stations across the state by DVD or digital download on October 13. 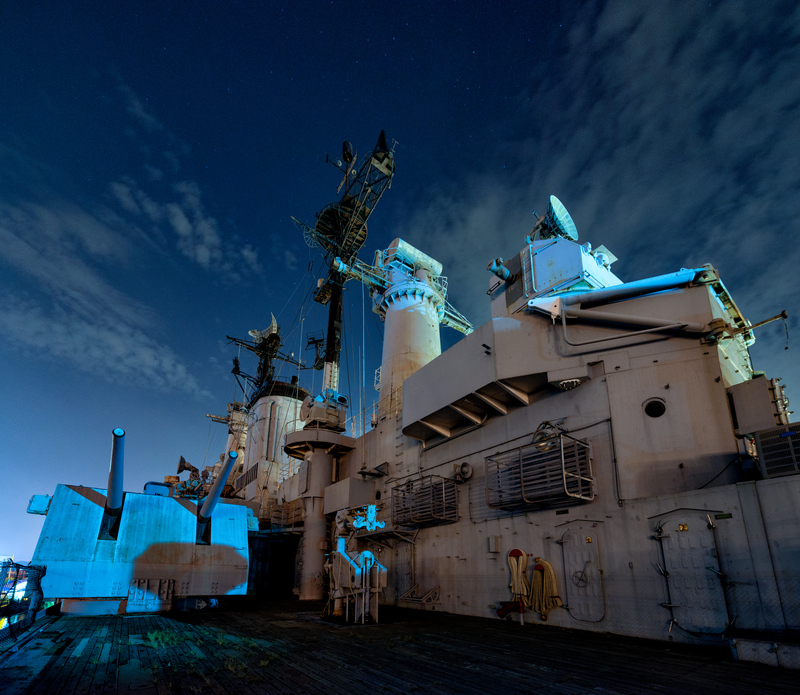 One of the first things I was told when I reported for duty as the manager of the VIP paranormal experience on Ghost Ship Harbor, a new haunted attraction slotted for the USS Salem this Halloween season, was not to piss off the ghosts. Launched on March 25, 1947, in Fore River Shipyard in Quincy and nicknamed the Sea Witch by her crew thanks to a three-month stint in the so-called witch city, the USS Salem never saw combat but was certainly a harbinger of death. In fact, the area beneath her mess hall became a makeshift morgue during the previously mentioned earthquake off the coast of Greece in 1953 and it’s estimated that at least 400 dead bodies were kept on the vessel. According to additional reports, at least 23 babies were born on the ship during the 1950s. 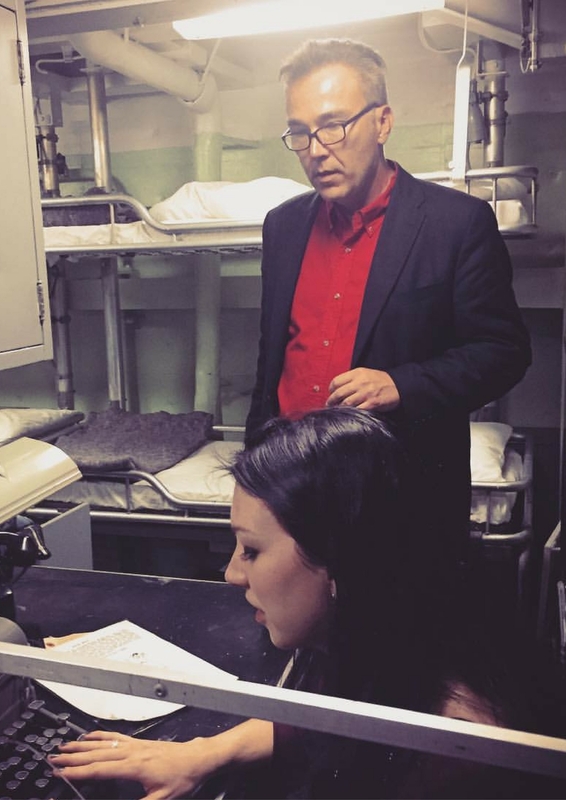 Author Sam Baltrusis and investigator Kassie Kreitman aboard the USS Salem. The USS Salem is a heavy-metal celebrity of sorts. She made a cameo in the action-packed thriller from Disney called The Finest Hours starring Casey Affleck and Chris Pine. The vessel was also featured in a film called the Pursuit of the Graf Spee in 1956. And, of course, the haunted vessel was featured on Ghost Hunters a few years ago. It should be no surprise but it’s the ghost ship’s alleged paranormal activity that generates the most regional buzz. The USS Salem’s volunteers, a motley crew of former military veterans and lovers of the Des Moines-class heavy cruiser, spewed off a laundry list of resident ghosts including “The Burning Man,” who also smells like death and reportedly hides in the berthing area beneath the third mess hall where the bodies were kept during the Ionian earthquake, a ghost girl who speaks Greek, a salty sea captain, a growling devil dog, a cook who likes to keep the kitchen in order and a man named John who reportedly gives tours of the USS Salem in the afterlife. There’s also an angry sentinel spirit known to get aggressive if you disrespect the Sea Witch. Mello said the mysterious scratches were mere “love marks” compared to the nightmare her team of volunteer haunters endured when they were told to move the haunted house off of the boat. In 2013, access to the vessel was shut down because the MBTA deemed the wharf was unstable. In addition to hosting paranormal investigation teams and overnight visits for Boy Scout groups, the pocket battleship had a 20-year run as the U.S. Naval Shipbuilding Museum in Quincy and served as a symbol of the city’s shipbuilding history during the 1940s. Photo by Frank C. Grace. Jason Egan, the hauntrepreneur behind Fright Dome in Las Vegas and mastermind behind the new attraction onboard the USS Salem, had an equally rough ride in his search for the ideal location to produce a Boston-area attraction. Egan and local marketing guru Matt DiRoberto were swatted down twice when they tried to unleash their initial vision called Fright Island on Georges Island and then Castle Island in South Boston. Egan’s dream of creating his world-class haunt on a Boston Harbor island was ultimately squashed. However, he and DiRoberto approached the USS Salem and they were eager to create a haunted house on a notoriously haunted location. For the record, the boat was ranked No. 8 in my 13 Most Haunted in Massachusetts book released last year. Rachel Hoffman, an investigator with Paranormal Xpeditions and one of the handful of experts working with me on Ghost Ship Harbor, said her team uncovered a lot of activity in the hospital unit. “We heard a crying baby in the medical area,” she said, adding that there are tables with stirrups indicating facilities for childbirth. In the so-called “butter room” or “meat locker where the bodies were kept while at sea was the thickest, most active area,” Hoffman told me in an interview for my book 13 Most Haunted in Massachusetts, adding that her team heard banging and that others reported being touched when no one else was onboard. The USS Salem also boasts a few misogynistic spirits who frequently retaliated when Hoffman’s all-female crew investigated the ship. For the record, the vessel was decommissioned in 1959 and its alleged spirits reflect the sentiment prevalent during the World War II era. “The most active was the admiral’s quarters where we got EVPs,” she continued. “The men didn’t like ladies on their ship. I think the ghosts of the men who served still reside with their old-school rules.” Paranormal Xpeditions also picked up an electromagnetic voice phenomenon, or EVP, of what sounded like a pig on the top deck. The USS Salem’s proverbial ghost cat was let out of the bag in October 2009 when Syfy’s Ghost Hunters investigated the 718-foot cruiser. Condon mentioned that he’s heard an EVP of a woman in the medical area, near the tables with stirrups, saying “get out, get out.” However, Condon said the agitated spirit could be saying “get it out” which could be a reference to the multiple children born on the USS Salem. The Ghost Hunters crew did pick up footsteps immediately and claimed to have heard a woman’s voice. Grant Wilson said he saw a shadowy black figure creep up the gangplank. 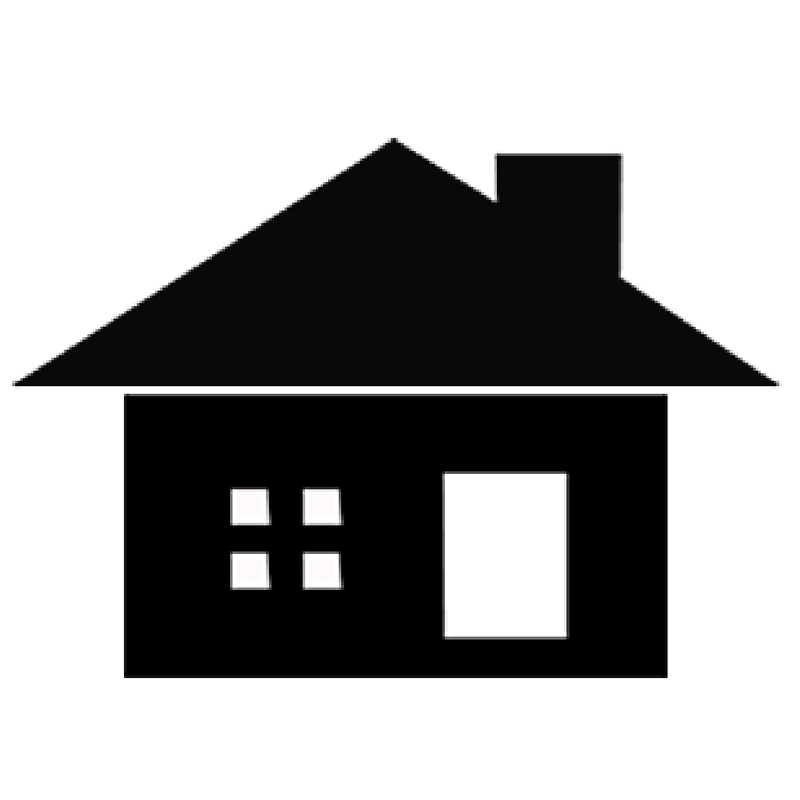 They also picked up high levels of electromagnetic activity which could result in uneasy feelings of paranoia. During the reveal, they picked up a low-grade EVP and other inexplicable bumps in the night. “What does it come down to? We have some bangs that we can’t explain and we have some low, subtle voices,” said Wilson, mentioning his close encounter with the shadow figure. 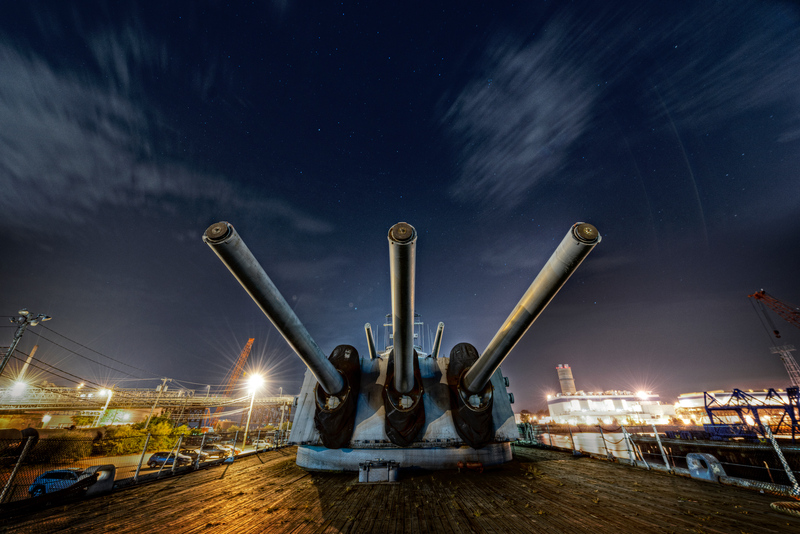 If Ghost Hunters does return, the USS Salem will be secured at a different location. It’s slotted to move in November a few docks away from its current location in Quincy. Over the past year, the vessel was rumored to set sail for the Boston Harbor Shipyard and Marina next to the Nantucket Lightship in East Boston and then Fall River. However, management decided it’s best to keep her close to home. 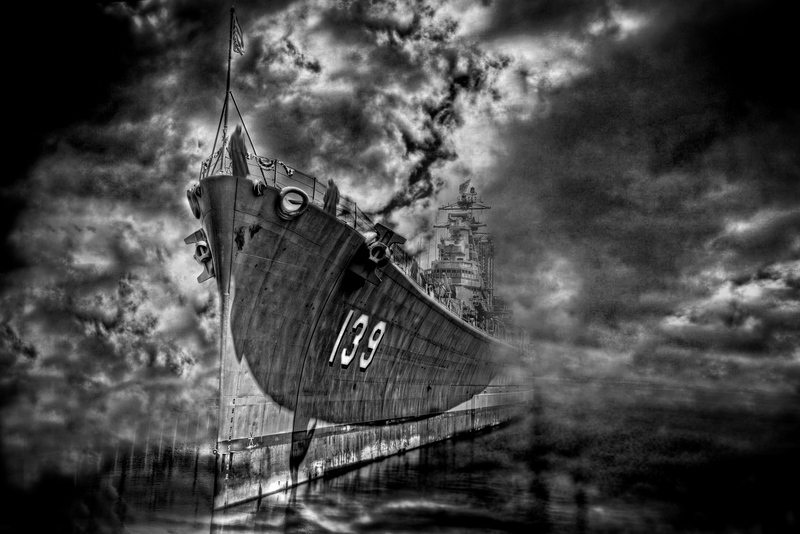 Journalist and author Sam Baltrusis featured the USS Salem in his book 13 Most Haunted in Massachusetts. In addition to working on Ghost Ship Harbor, he published three historical-based ghost books this year including Haunted Boston Harbor, Paranormal Provincetown and 13 Most Haunted Crime Scenes Beyond Boston. Visit 13MostHaunted.com for more information.